WEBSTER ENTERPRISES, ABN 70 060 380 180, 35 Ruttleys Road, Wyee NSW 2259. By purchasing any of our Products through the Site, you agree to be bound by these terms and conditions. If you do not agree to these terms, you will not be able to proceed with your purchase, so please review these terms carefully. 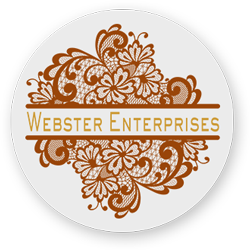 To be able to place an order with WEBSTER ENTERPRISES you must be over 18 years of age and possess a valid credit or debit card issued by a bank acceptable to us. These Terms apply to all Orders and Contracts made or to be made by us for the sale and supply of our Products. When you submit an Order to us, give any delivery instruction or accept delivery of the Product(s), this shall in any event constitute your unqualified acceptance of these Terms and Conditions. Nothing in these Terms and Conditions affects your statutory rights (including the right to insist that goods you buy from us must correspond with their description, be fit for their purpose and be of satisfactory quality). These Terms prevail over any separate terms put forward by you. Any conditions that you submit, propose or stipulate in whatever form and at whatever time, whether in writing, by email or orally, are expressly waived and excluded. These Terms constitutes the entire and only agreement between YOU and WEBSTER ENTERPRISES, and supersedes any and all prior or contemporaneous agreements, representations, warranties, and understandings with respect to the goods, services and information provided by or through the Site, and the subject matter of these Terms. When making an Order, you must register for an Account on the Site, and you must follow the instructions on the Site as to how to make your Order and for making changes to your prospective Order before you submit it to us. Irrespective of any previous price you have seen or heard, once you select a Product that you wish to Order, you will then be shown (on the Site) the charges you must pay including GST. Unless otherwise shown or stated on the Site, all charges are in Australian Dollar and are inclusive of GST (when applicable). Delivery charges will be calculated and invoiced to you after your order has been processed and packaged. You shall pay for the Product(s) in full at the time of ordering by supplying us with your credit or debit card details from a credit or debit card institution acceptable to us or WEBSTER ENTERPRISES or by bank deposit. We shall not be bound to supply any Product before we have received cleared funds in full. You undertake that all details you provide to us for the purpose of purchasing any Product from us will be correct, that the credit or debit card, or account or other payment method which you use are your own and that there are sufficient funds or credit facilities to cover the cost of the Product(s) purchased. You must only submit to us through the Site information which is accurate and not misleading and you must keep it up to date and inform us of any changes. We reserve the right to obtain validation of your payment details before providing you with the Product(s). We shall not be obliged to supply any Product to you until we have accepted your Order. Unless expressly stating that we accept your order, an email, letter, or other Acknowledgement of your Order by us is purely for information purposes and does not constitute the Confirmation of Order. In that Acknowledgement, we may give you an Order reference number and details of the Product(s) you have ordered. We may in our discretion refuse to accept an Order from you for any reason, including unavailability of supplies or we may offer you an alternative Product(s) (in which case we may require you to re-submit your Order first). Once you have received the Confirmation of Order you are liable to pay for those products that have been ordered. If you wish to amend your order or cancel any portion of it there will be a restock fee of 50% of the cost of the items being cancelled. These Terms shall be formed as an Agreement and we shall be legally bound to supply the Product(s) you purchased to you when we accept your Order. Acceptance shall take place when we expressly accept your Order by email to you, in the form of a document called a "Order Confirmation" stating that we have accepted your Order. Our Order Confirmation shall be deemed to come into effect when it has been despatched by us. Without affecting your obligation to pay us earlier, we may send an invoice to you at any time after we have accepted your Order. Until the time when we accept your Order, we reserve the right to refuse to process your Order and you reserve the right to cancel your Order. If we or you have cancelled your Order before we have accepted it, then we will promptly refund any payment already made by you or your credit or debit card institution to us for the order of the Product(s). If you find that you have made a mistake with your Order after you have submitted it to us through the Site, please contact us immediately. However, we cannot guarantee that we will be able to amend your Order in accordance with your instructions. An Agreement will relate only to those Products whose dispatch we have confirmed in the Order Confirmation. We will not be obliged to supply any other Products which may have been part of your Order until we have sent an Order Confirmation in relation to those Products. We aim to deliver the Product(s) to you at the place of delivery requested by you when you submit an Order. We aim to deliver within the time indicated by us at the time of your Order (and updated in the Order Confirmation) but we cannot promise an exact date when you submit your Order or at the Order Confirmation. On delivery of the Product(s), you may be required to sign for delivery. You agree to inspect the Product(s) for any obvious faults, defects or damage before you sign for delivery. We recommend you keeping receipts of the delivered Product(s) in case of future discussions with us about it. All risk in the Product(s) shall pass to you upon delivery, except that, where delivery is delayed due to a breach of your obligations under an Agreement, risk shall pass at the date when delivery would have occurred but for your breach. From the time when risk passes to you, we will not be liable for loss or destruction of the Product(s). You must take a very good care when opening the Product(s) so you don't damage it, particularly when using any sharp instruments. You shall ensure that you are ready for safe receipt of the Product(s) without undue delay and at any time reasonably specified by us. If you are not available to take delivery or collection, the carrier may leave a card giving you instructions on either re-delivery or collection from the carrier offices. It is your responsibility to ensure that the Product(s) are sufficient and suitable for your purposes and meet your individual requirements. We do not warrant that the Product(s) will meet your individual requirements. You acknowledge that the Product(s) are standard and not made bespoke to fit any particular requirements that you may have. We may cancel an Agreement if a Product is not available for any reason. We will notify you and apply our Returns and Refunds Policy. If you wish to cancel your order please review our Returns and Refunds Policy. We warrant that the Product(s) will be delivered undamaged in the quantities ordered, and will conform with the latest published instructions as set out on the Site or in our Product(s) material at the time of your Order. Our Products are intended to be used strictly in accordance with the latest published instructions as set out on the Site or as on the Product itself. It is your responsibility to ensure that you use the Product strictly in accordance with those instructions. We try our best to deliver Products in excellent condition. However, if you tell us that the Product is faulty, you agree to keep the Product in its current condition available for us to inspect within a reasonable time. after delivery by us, we may at our discretion decide not to repair, replace or refund you for the Product and/or we may require you to pay all reasonable carriage costs and servicing costs at our current standard fees and costs, and to the extent permitted by law, we shall not be liable to you for any losses, liabilities, costs, damages, charges or expenses as a result. You may use promotional vouchers and gift vouchers as payment for Products on the Site. We may email gift and promotional vouchers to you or the person you purchase the gift voucher for, and we accept no liability for errors in the email address of the voucher recipient. From time to time we may release promotional vouchers that may be used on the Site, which we will send to you by email. Promotional vouchers can only be redeemed on the WEBSTER ENTERPRISES' website (www.webster-enterprises.com.au). Promotional vouchers are valid for the specified period stated on them only, can only be redeemed once and cannot be used in conjunction with other promotional vouchers. Individual Products may be excluded from voucher promotions. The credit of a promotional voucher cannot be used to pay for products from third parties. If you place an Order for a Product less than the value of the promotional voucher, no refund or residual credit will be returned. If the credit of a promotional voucher is insufficient for the Order you wish to make, you may make up the difference through other payment method. You may purchase gift vouchers for use on the Site for you or someone else (friends and family). These gift vouchers will be sent by email to the person you specify in the gift voucher order form. Gift vouchers cannot be used to buy further gift vouchers. Gift vouchers may only be purchased through debit or credit card or Paypal. A cancellation of a gift voucher order is subject to our Returns and Refunds Policy. If the credit of a gift voucher is insufficient for the Order you wish to make, you may make up the difference through other payment method. We place great value on our customer satisfaction. You may contact us here at any time. We will attempt to address your concerns as soon as reasonably possible and will contact you on receipt of any relevant enquiry or complaint. In guarantee cases, the manufacturer frequently must be involved, and as such it may take longer to resolve such an enquiry or complaint. In the event of a complaint it will help us if you can describe the object of your complaint as accurately as possible and, where applicable, send us copies of the Order or at least the order number that we assign you in the Acknowledgement or Order Confirmation. Should you not have received any reaction from us within five Business Days, please make further enquiries. In rare cases your emails may be caught up in our spam filters or not reach us, or correspondence that we send to you may otherwise not have reached you. We shall not be liable to you for any breach, hindrance or delay in the performance of an Agreement attributable to any cause beyond our reasonable control, including without limitation to natural disasters and unavoidable incidents, actions of third parties (including without limitation to hackers, suppliers, governments, quasi-governmental, supra-national or local authorities), insurrection, riot, civil commotion, war, hostilities, warlike operations, national emergencies, terrorism, piracy, arrests, restraints or detainments of any competent authority, strikes or combinations or lock-out of workmen, epidemic, fire, explosion, storm, flood, drought, weather conditions, earthquake, accident, mechanical breakdown, third party software, failure or problems with public utility supplies (including electrical, telecoms or Internet failure), shortage of or inability to obtain supplies, materials, equipment or transportation ("Event of Force Majeure"), regardless of whether the circumstances in question could have been foreseen. Either you or we may terminate an Agreement forthwith by written notice to the other in the event that the Event of Force Majeure lasts for a period of two Business Days or more, in which event neither you nor we shall be liable to the other by reason of such termination (other than for the refund of a Product already paid for by you and not delivered). If we have contracted to provide identical or similar Product(s) to more than one Customer and are prevented from fully meeting our obligations to you by reason of an Event of Force Majeure, we may decide at our absolute discretion which Agreement we will perform and to what extent. Any notice under an Agreement shall be in writing and may be served by personal delivery or by pre-paid or recorded delivery letter or by email addressed to the relevant party at the address or email address of the relevant party last known to the other. Any notice given by post shall be deemed to have been served two Business Days. Any notice given by email shall be deemed to have been served when the email has been proved to be received by the recipient's server. In proving such service it shall be sufficient to prove that the letter or email was properly addressed and, as the case may be, posted as a prepaid or recorded delivery letter or despatched or a delivery report received. We shall keep a record of your Order and these Terms and Conditions for up to five years after we have accepted your Order. However, for your future reference, we advise you to print and keep a copy of these Terms and Conditions, your Order, the Acknowledgement and the Order Confirmation. No failure or delay by us or you in exercising any right under these Terms or an Agreement shall operate as a waiver of such right or extend to or affect any other or subsequent event or impair any rights or remedies in respect of it or in any way modify or diminish our or your rights under these Terms or an Agreement. If any section in these Terms or an Agreement shall become or shall be declared by any court of competent jurisdiction to be invalid or unenforceable, such invalidity or unenforceability shall in no way affect any other section or part of any section, all of which shall remain in full force and effect, so long as these Terms or an Agreement shall be capable of continuing in effect without the unenforceable term. You shall not assign, transfer, novate, charge, sub-contract, create any trust over or deal in any other manner with these Terms or an Agreement or all or any of your rights or obligations under these Terms or an Agreement. Nothing in these Terms or an Agreement shall create or be deemed to create a partnership, an agency or a relationship of employer and employee between you and us. No person who is not a party to these Terms or an Agreement shall acquire any rights under it or be entitled to benefit from any of its terms even if that person has relied on any such term or has indicated to any party to these Terms or an Agreement its assent to any such term. These Terms or an Agreement (and all non-contractual obligations arising out of or connected to them) shall be governed and construed in accordance with Australian Law. Both we and you hereby submit to the non-exclusive jurisdiction of the Australian Courts. All dealings, correspondence and contacts between us shall be made or conducted in the English language. We reserve the right to amend these Terms at any time. Amendments to these Terms will be published Online. However, continued use of the Site will be deemed to constitute acceptance of the new Terms. When you submit an Order to the Website, you agree that you do so subject to these Terms current at the date you submit your Order. You are responsible for reviewing the latest Terms and Conditions each time you submit your Order.